This is a famous photograph taken in Vaxjo, Sweden on April 13, 1985 by Hans Runesson. 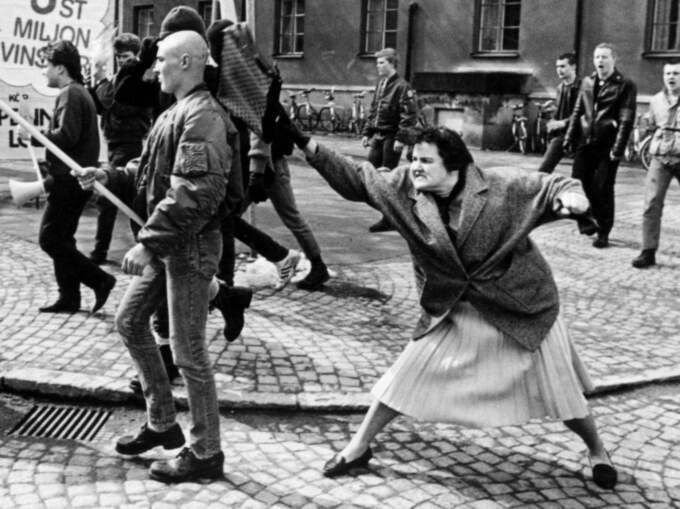 The woman hitting him is Danuta Danielsson, of Polish-Jewish origin. Her mother had been in a concentration camp so upon seeing the young Nazis in her town, she became incensed.